It was only a matter of time before all eyes would be on Kate Middleton and Meghan Markle and how well they did — or didn’t — get on. The royal sisterhood has not been under this much scrutiny since a young Princess Diana and an excitable Fergie joined the household in the Eighties. As with those royal “outlaws”, the temptation to cast the modern-day Duchesses as arch rivals has proved too hard to resist. The obvious differences make for an easy narrative: what, after all, would a Berkshire-born English rose and homely mother-of-three really have in common with a former American actress more at home on red carpets? It is certainly helping the rumours along that the Sussexes are moving to Windsor amid rumours of “tensions” with the Cambridges. Rumours of disharmony between the so-called “Fab Four” had been rumbling behind palace gates before it was announced that Harry and Meghan would be moving to Frogmore Cottage. But even the Cambridges once described Kensington Palace as a “goldfish bowl” and were able to escape to Anglesey and then Anmer Hall, their Norfolk bolt-hole, for the first five years of their marriage. So, as Harry and Meghan find their feet, it is perhaps understandable that they should seek to do so away from the royal “court”. It is a special place for them, too. They used Frogmore as a location for their engagement pictures upon the Queen’s suggestion, and its newly renovated grounds make an idyllic location to raise a family. But Meghan’s arrival on to the royal scene was always going to add to an already complicated family dynamic. While Kate grew up with the trials and tribulations of the family she married into, Meghan has always been a step removed from the soap opera playing out across the pond. As a woman from a completely different country and culture, she has had to integrate herself into an alien world with archaic procedures. This perhaps goes some way to explain why her reported 5am wake-up calls and email “bombardments” of staff may have raised eyebrows. The sudden departure of Meghan’s personal assistant, known only as Melissa, added to speculation that the former Suits star is difficult to work for and “snaps” at staff. However, her supporters insist the “charming” Duchess is “a breath of fresh air”. But the talk of a growing froideur between Kate and Meghan really ramped up following rumours of an apparent falling out in the run-up to the Sussexes’ wedding in May. The Daily Telegraph has spoken to two sources who claim Kate was left in tears following a bridesmaids’ dress fitting for Princess Charlotte. “Kate had only just given birth to Prince Louis and was feeling quite emotional,” said one insider. It was around that time that Meghan was reported to have also “upset” the Queen by asking to wear an emerald tiara instead of the one offered by the 92-year-old monarch. It came after a book by royal journalist Robert Jobson described Harry as “petulant and short-tempered” in the build-up to the Windsor Castle wedding. He allegedly told staff, with a raised voice: “What Meghan wants, Meghan gets.” When reports reached the Queen, she “put him firmly in his place”, Mr Jobson wrote. Rumours of any lingering ill-feeling between the Queen and Meghan appear wide of the mark, however. The two women enjoyed their first solo engagement together in Cheshire in June. And earlier this month the Queen entrusted Meghan to “look after” Elke Budenbender, wife of the German president, during the Remembrance commemorations, in a move that saw her separated from Kate, who was on an adjacent balcony with the Queen and the Duchess of Cornwall. Despite being welcomed into the family fold, the attitude “below stairs” has apparently not been universally positive, with some giving the relationship “five years”. The catty gossip reportedly hit fever pitch when Meghan’s father, Thomas, pulled out of the wedding at the last minute. The drama reduced both Meghan and Harry to tears, which perhaps explains why the Prince went to such great lengths to ensure his bride-to-be could have everything she wanted on her big day. At Princess Eugenie’s wedding, the Sussexes were criticised for sharing news of their pregnancy at the champagne reception. William and Kate — not usually prone to public displays of affection — appeared much more at ease as they held hands throughout the service. A source close to the Yorks told the Telegraph that Eugenie was “upset” that the Sussexes did not attend the evening reception together. The Cambridges, meanwhile, “made a night of it”, according to fellow guests. However, one person who is said to be “completely taken” with Meghan is Prince Charles. Insiders say it is his new daughter-in-law who has encouraged Harry to have a closer relationship with his father and it was Harry, not William, who delivered a heartfelt speech to mark his father’s milestone at a garden party in the summer. William and Kate were not present, choosing to visit Centrepoint — one of Diana’s charities — on the day of Charles’s actual birthday. Although both couples attended his party that evening, they all reportedly left early. And, like in most families, those lives are not always as perfect as the fairy tales would have us believe. Frogmore has, until now, been something of an overlooked royal property. But, as Harry and Meghan will discover, it has a rich history. The cottage where they will live is set in the 35-acre grounds of Frogmore House. The house, which it faces, was built in the 17th century, most likely by Hugh May, one of Charles II’s favourite architects, and its first royal inhabitant was George FitzRoy, Duke of North-umberland, the King’s illegitimate son. In the 18th century, George III bought it for his wife, Queen Charlotte. It was she who built Frogmore Cottage as a quiet refuge. But it was during the Victorian period that Frogmore truly had its heyday. It was where Victoria first met Abdul Karim, the Indian servant who famously fascinated her. Karim stayed at the cottage, but Victoria was not charmed by his residence, complaining about the “immense number of frogs” in the vicinity. Victoria loved Frogmore so much that she created her own mausoleum there — for Albert and then herself. 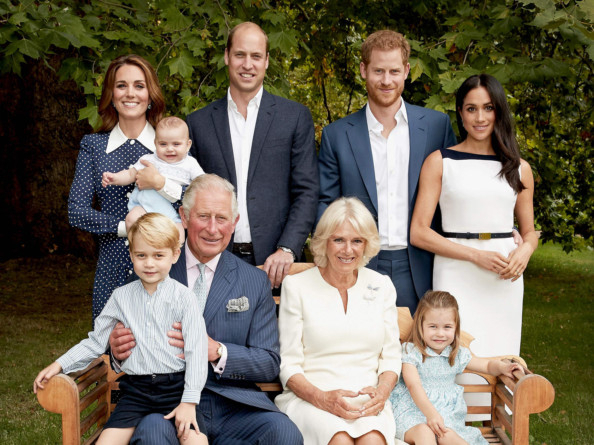 Although the Duke and Duchess of Sussex will be further away from the Cambridges, as well as Prince Charles, they will be closer to the Queen. She loves Frogmore and has often been seen walking her dogs in the grounds. Harry and Meghan should keep the kettle on — Granny could pop round at any minute.